To say that Brooklyn’s The Men are prolific is a tremendous understatement. Since 2010, they’ve released an album every year, showing their passion for music and always have ideas that never stop. Remarkably, each album they’ve done is stylistically different and consistently impressive. Over the years, they’ve demonstrated their uncanny versatility and musicianship by incorporating a range of styles – punk, post-punk, noise, psychedelic, surf, blues, and country – into their sound. 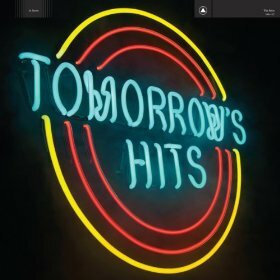 But at the core, they’re purely and simply a rock band, evidenced by their latest effort, Tomorrow’s Hits. “Dark Waltz,” “Get What You Give,” and “Another Night” are indicators of what the album is about. Straight-forward, highly-refined, and well-executed numbers that are reminiscent of the classic-rock days of the 70s/80s. Each song features cheeky piano melodies, a free-flying harmonica, E Street Band-esque horns, or blistering guitar solos. Or in the case of “Pearly Gates,” everything just described converges and multiplied ten-fold. There are moments of calm (“Sleepless,” “Settle Me Down”) and clamorous (“Different Days,” “Going Down”) that The Men perfectly balances; nothing too subdued, nothing too chaotic. It shows how they’re truly masters of their craft, displaying a kind of fun, carefree dynamism that’s sorely lacking in music today.